Looking for a new-to-you vehicle with style, luxury, innovative features, and so much more? Jaguar Colorado Springs has this gorgeous Approved Certified Pre-Owned 2017 Jaguar F-PACE in our inventory. With a retail MSRP of $58,098, you can’t beat our discounted price of $53,489! This SUV also has less than 6,000 miles on it! Equipped with a 3.0L V6 supercharged engine, you should get an estimated 18 MPG city/23 MPG highway. Very impressive for this luxurious F-PACE SUV! This luxury Jaguar has a variety of other innovative features for you to enjoy. Features include navigation system, blind spot monitor with closing vehicle sensing, protection package, and vision package. SiriusXM Satellite Radio, remote keyless entry, power moonroof, rearview camera, and electronic stability control are also featured on this Jaguar F-PACE. Choose Jaguar Colorado Springs when looking for your next preowned vehicle. We provide luxury vehicles at great prices. 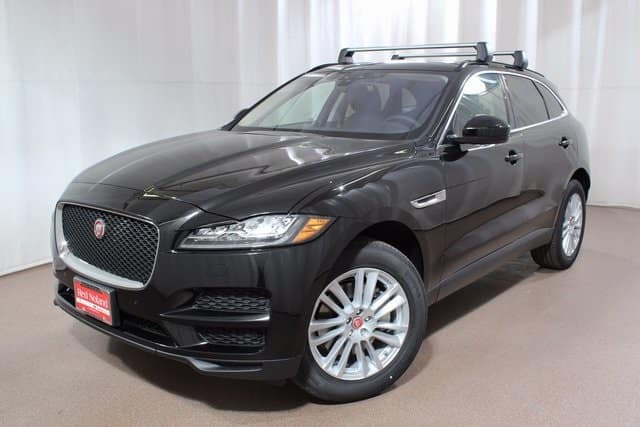 Contact us today to learn more about this Approved Certified Pre-Owned Jaguar!